A Ducati-branded collector's item that deserves a place in the collection of all true Ducati enthusiasts. 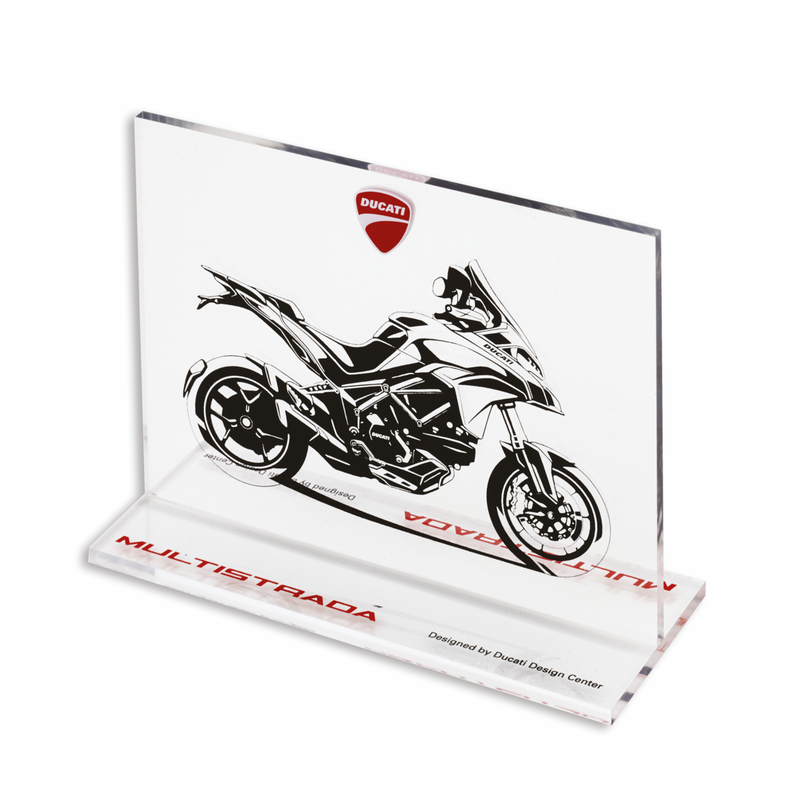 The sketch of the Multistrada is printed on a plexiglass base and is enhanced with the Ducati logo above and the bike brand on the base. Dimensions: 18x14x7cm.